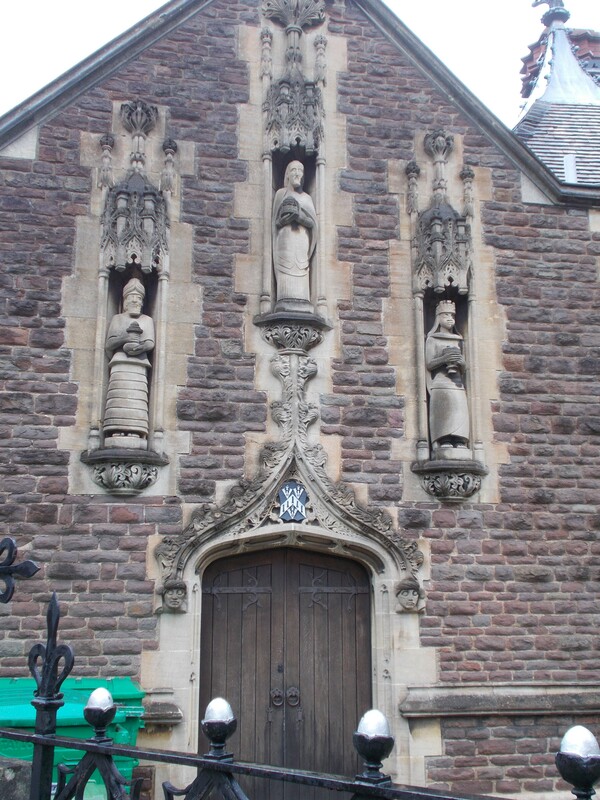 The Three Kings of Cologne Chapel, The John Foster Almshouse, Bristol, 21/08/14. The Three Kings in the niches are by Ernest Pascoe. 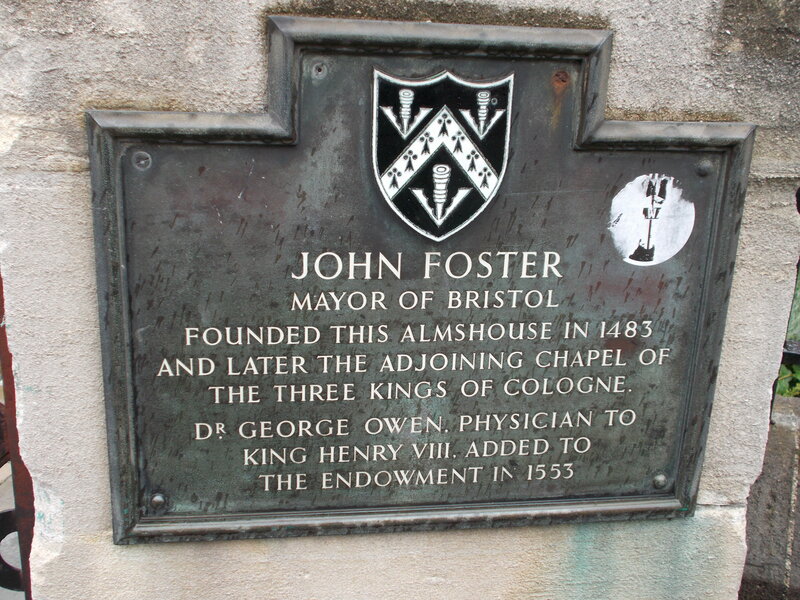 According to About Bristol.Co.UK, the Medieval Bristol Merchant, John Foster , was a frequent visitor to Germany and dedicated the chapel to “The Three Kings of Cologne” after visiting Cologne Cathedral, which has its own chapel of The Three Kings. Cologne Cathedral’s website describes it more accurately as a shrine, the centre piece of which would have been the largest and most artistically important reliquary of the Middle Ages, containing the relics of the The Three Kings (aka The Three Wise Men aka The Magi), so I imagine it made a big impression of Foster. John Foster’s coat of arms can also be seen on the front of the Chapel. The Chapel sits in the grounds of the John Foster’s Almshouses, built in the 1480s, but completely rebuilt in the ” flamboyant Burgundian style embellished by turrets and tall brick chimneys” by another John Foster in the 19th Century. 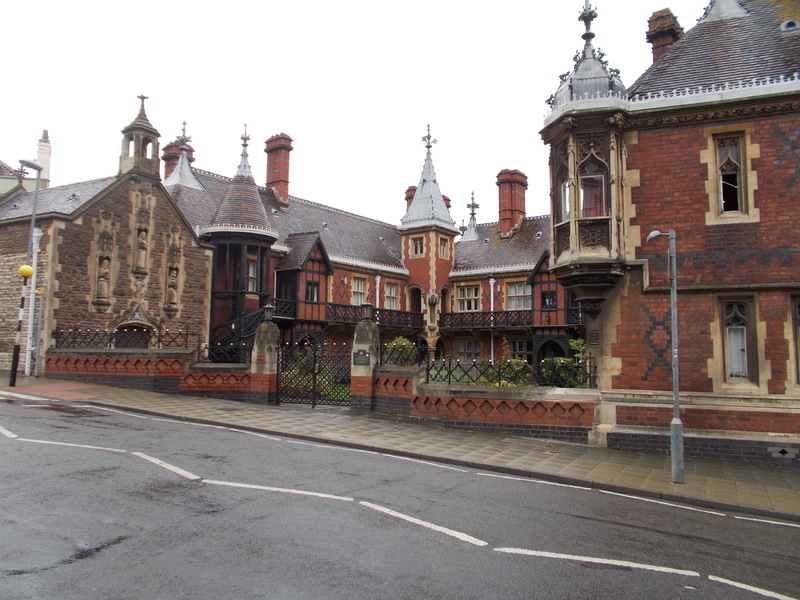 Looking at Buildings.Org informs me that rebuild was the work of a firm called Foster & Wood and that the “fanciful Burgundian Gothic” style of the Almshouses was inspired by the Hotel Dieu in Beaune, which I’d never heard of but looks quite remarkable. John Foster’s Almshouse with the Chapel of The Three Kings on the right.